We have a very unique set of lights. 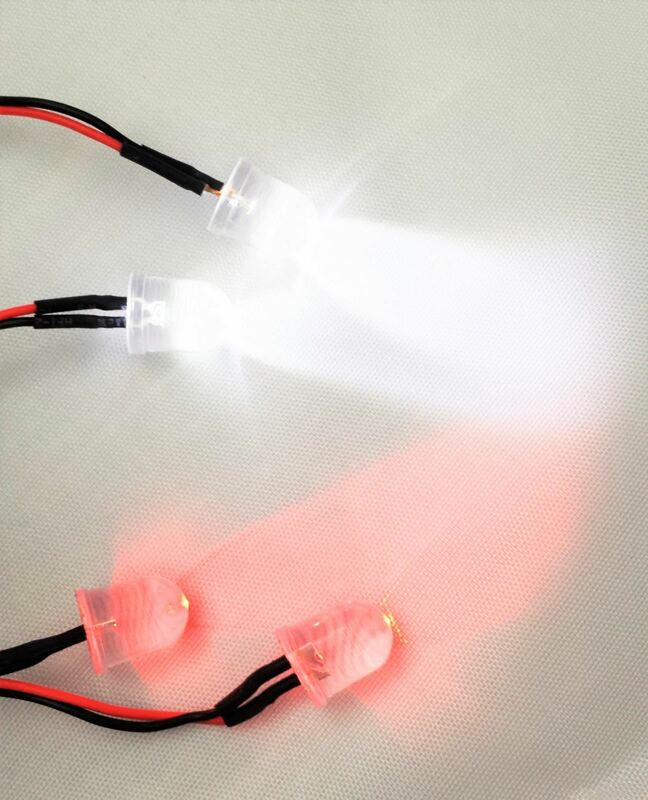 This set features a pair of white LEDs and a pair of red LEDs. We have a very unique set of lights. This set features a pair of white LEDs and a pair of red LEDs. This set features a selectable pattern, you can have flashing, steady, strobe, alternate flashing, and more. Set your car, truck airplane, or helicopter apart from the rest with this intersting set of LED lights.